Kaam Dekho Naam Nahi are paper geniuses – from décor to packaging, they can customise anything to make it fun, quirky and cool. Throwing a big winter party? Getting ready for your bachelorette party? Want an epic 31st night? Planning a surprise for bae? Kaam Dekho Naam Nahi can personalise everything from cake toppers, food forks, décor, goodie bags and more. What’s awesome is that they do totally out of the box stuff. For take-home presents, it’s not just boring chocolates – they do hang-over kits instead! 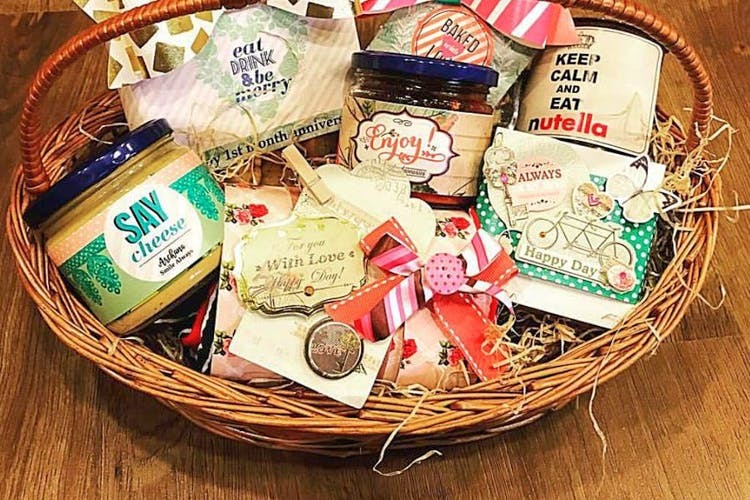 They’ll take care of everything from coming up with a great idea to its execution – table styling, photobooths, sending out hampers to your guests, getting adorable invites designed and printed. For them, there’s beauty in detail so you can be rest assured that the quality and presentation will be the best. Did Someone Say Personalised Stationery? They create bespoke personalised stationery and packaging. Envelopes, gift tags, stationery sets for kids, invites, scrap books: you name it, they do it! They also have a special Girl Boss collection you can pick up for the ‘girl boss’ in your life or for yourself! Besides that, you can also get cute stuff for the home – wine sleeves and coffee table books included. They’re all about taking into account your taste and budget so don’t stress about the pocket pinch. They have a whole range of prices depending on the degree of detailing you want and the number of pieces. Gift wrapping starts at INR 250, stationery boxes start at INR 1,000 and enveloped come for INR 1,000 for 10 pieces.